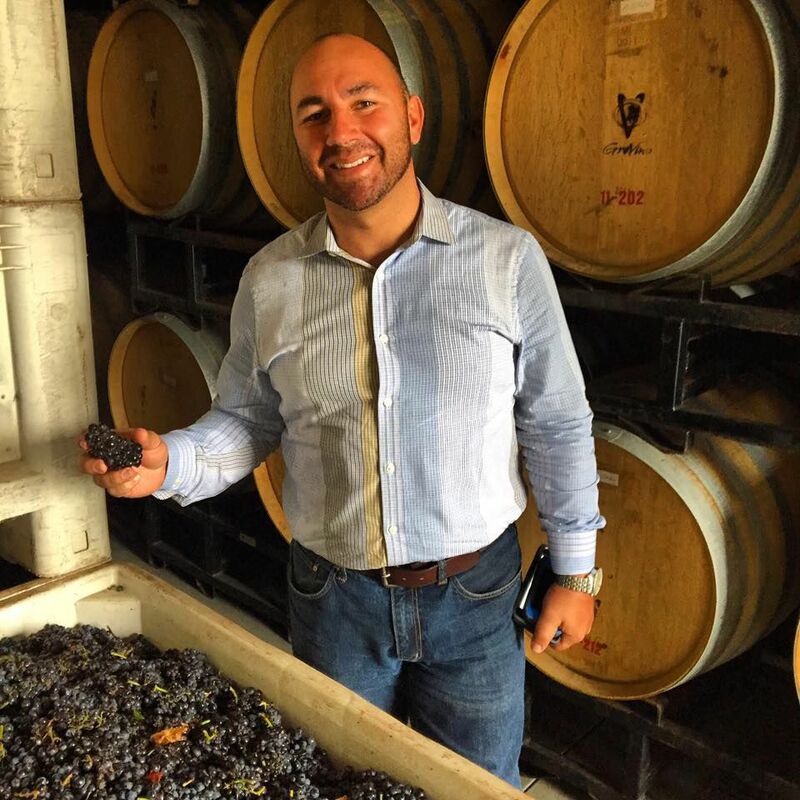 Gaetano David, Grevino general manager and executive winemaker. 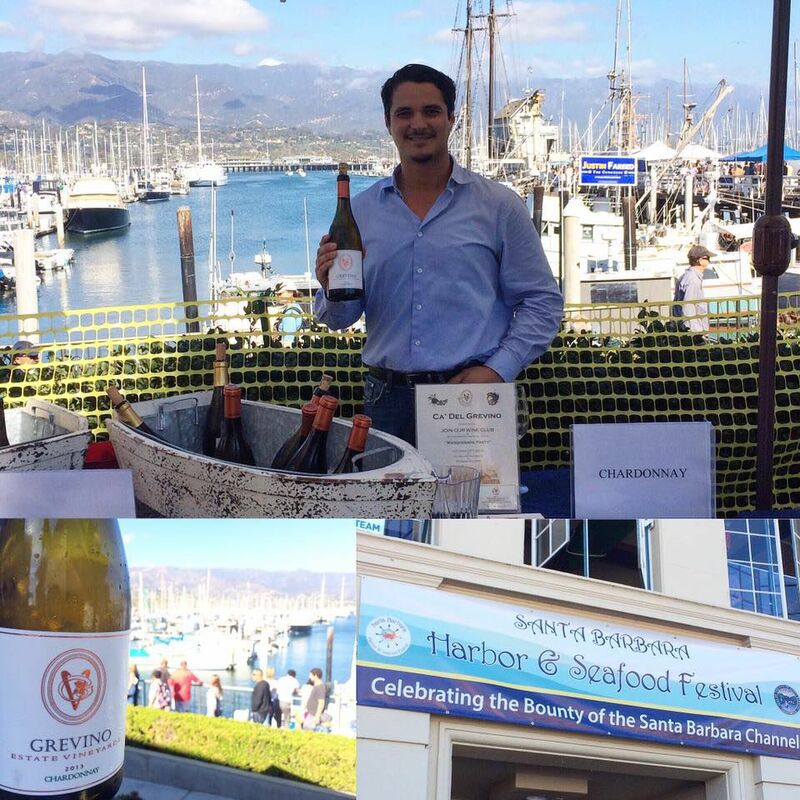 Jon Karlo Macias, Grevino tasting room manager. Architectural rendering of the new Grevino Estate Winery and Tasting Room on the wall at the tasting room. Recently, while visiting a favorite tasting room of my husband, Dan Hardesty, and mine, Tercero winemaker Larry Schaffer suggested we visit his newest neighborhood tasting room was Ca’ Del Grevino in the busy little town of Los Olivos. I had not heard of it, but it was only the brand name that was new, not the wines. We were about to discover it’s a rebranding of a wine estate that was established in Santa Maria Valley in 1999 by winemaker Gaetano “David” Addamo. We would learn all of that while talking with the personable Ca’ Del Del Grevino Tasting Room Manager Jon Karlo “my friends call me Johnny” Macias, who was pouring samples for customers that day. We almost didn’t stop in to taste, were it not for the personable Macias. There’s something about an empty tasting room, like an empty restaurant, that makes you want to walk on by. I told Macias we were members of the Alta Maria and Native 9 brands that formerly occupied this tasting room (the owners of those brands have been looking for a new tasting room location in Santa Barbara County), and he invited us to come in and taste. “I’ll show you our best wines, or you can taste as many as you like,” he said. (He had no clue that I was a wine columnist). We were pleasantly surprised to find we did like their very well-made wines. Once Macias told us they were made by David Addamo, who made pinot noir and Rhone wines under his namesake Addamo label, I wasn’t surprised. I also recognized the estate house and fountain that are surrounded by their vineyards in a large photograph on the wall. The wine list offers two brands Ca’ Del Grevino and Element, the latter being the value-priced line. Since Macias knew we were pinot noir lovers (for which Alta Maria and Native 9 are well-known), he started us out with a taste of a Grevino Pinot Noir and an Element Chardonnay and Pinot Noir. He also noted they usually just refer casually to the flagship brand as Grevino. Grevino, obviously coined from the new owner’s surname, was confirmed by a call to Addamo. The new owner is Randeep Singh Grewal, an American entrepreneur who’s renowned for natural gas development in China and Hong Kong. As for Addamo, I’ve followed his winemaking career since he started out in 1999, yet I had not heard he sold the brand and the 104-acre estate with prime vineyards to Grewal. Due to real estate problems, Addamo was forced to sell his dream estate where he planned to build a Tuscan-style winery with vineyards. He decided to approach Grewal, his immediate neighbor on East Clark Avenue, about buying his property and brand. “He told me he had been drinking my wines for the past six years,” Addamo recalled, “and he offered me the job of general manager and executive winemaker.” The sale was finalized in 2012, upon which Grewal immediately began moving forward on Addamo’s elaborate vision. At the Los Olivos tasting room, featuring both Grevino and Element, it costs $15 to taste six wines from each brand, a total of 12 wines for $30 if you taste them all (and you can share a tasting as Dan and I always do). I found the wines very good on both sides, which rarely happens. But they are all grown in the estate vineyards, where there is consistency in the quality of the winegrapes they produce. Should you like them enough to join the wine club, your tasting room visits allows free tasting to you and your guests if you make an advance appointment. Like most wineries, they offer far more benefits to club members, like new release parties, wines made for club members only, priority invitations to events and a 35-percent discount on wine no matter how many bottles you buy or order online. Even if you’re not a wine club member, tasting is complimentary if you buy two bottles or more. We bought six bottles for our wine cellar. Learn more about Grevino and its three tasting rooms in Old Orcutt, Los Olivos and Santa Barbara at www.grevino.com. The winery estate is located on East Clark Avenue in Santa Maria, but currently is only used for private events. A new winery and tasting room at that location (construction began six months ago) will be opening in the not-too-distant future. The beautiful new winery and tasting room will be an excellent addition in Santa Maria Valley wine country for buying wine and/or wine events. The brand may be new, but Addamo built up a very good reputation and business plan that Grewal is building upon. Wine writer Kathy Marcks Hardesty can be reached at Kathy@centralcoastcritic.com.